At the top of Sulitjelma, a former mining community in the Arctic mountains, is a Mountain Resort with firstclass lodging. 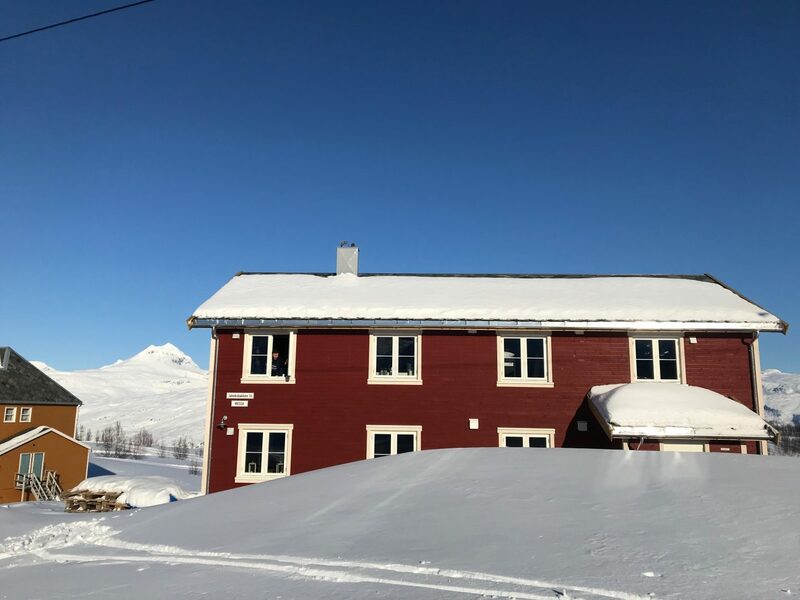 Just 1 1/2 hours driving from Bodø you can enjoy spacious apartments for both young and old, magnificent view, recreational facilities with sauna, fitness room and cross-country skiing trails with World Cup standard right outside the door. We customize your stay according to your requirements and with us you will get a close relationship and close follow-up from guides and owners. The Mountain Resort is much more than just apartments that can be rented for accommodation. What is outstanding with the house is that it looks the same on the outside as the buildings did when the miners worked at Jakobsbakken in the early 1900s. Inside, stunning design and materials of high class characterize the apartments. This allows you to get close to the historical whisper from the mining community while giving you a top modern apartment of high quality. - We have an ambition to create something unique and different from other lodging opportunities in Scandinavia, says founder Mona Mosti about the exclusive apartments at Jakobsbakken Mountain Resort. We want our visitors to stay at our Mountain Resort for at least a couple of days. That´s because the weather can change very fast here in Northern Norway. If you're staying for 2-3 days you can experience sun, snowstorm, polar lights, and the northern lights. We also want to give you world-class hospitality and delicious food with ingredients from the area in one hour reach from Jakobsbakken. When you're staying at our Mountain Resort you can tick off your bucket list for many of our activities and experiences, or you can just enjoy having a whole mountain to your self. We customize the service in "Messa" according to your requirements. Whether you want to rent an apartment entirely for yourself or if you want a private chef who makes culinary dining experiences of locally, first-class ingredients, we will adapt this to your requirements.